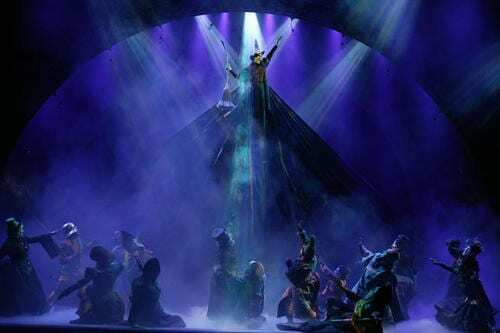 The high-flying, high-grossing Broadway musical ‘Wicked’ celebrates its 10th anniversary today, reaching a milestone only 10 other Broadway productions in history have achieved. The show, based on a novel by Gregory Maguire, tells the “untold” story of L. Frank Baum’s Witches of Oz. Since its New York premiere a decade ago, ‘Wicked’ has grossed more than $3.1 billion worldwide and has been seen by more than 38 million people. This entry was posted on October 30th 2013 at 1:44pm/13:44 and is filed under Entertainment. You can follow any responses to this entry through the RSS 2.0 feed.